La Corua is a water serpent that lives in springs of water and protects them. According to Sonoran folk beliefs, if one killed the Corua, the spring would dry up. 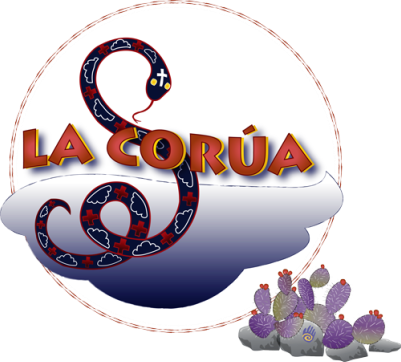 La Corua represents the essence of life in the desert. In Mexico, snakes are also associated with rain and thunderstorms. Source: Beliefs and Holy Places - A Spiritual Geography of the Pimeria Alta - James S. Griffith, University of Arizona Press, 1992.